Free dining is at Walt Disney World for your 2016 Disney Vacations and we cover everything there is to know. With this special offer, when you book a Disney World vacation package with non-discounted resort hotels and park tickets you will receive the Disney Dining Plan for each member of your party for no additional charge. This is Disney’s most popular promotion and we are happy to see it return for 2016. Everything you need to know about the Disney Free Dining offer is in this Mouse Chat episode. 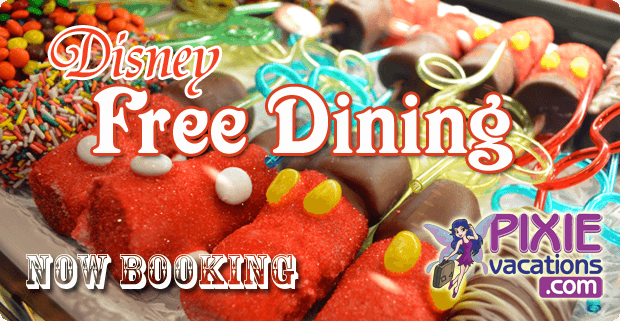 To book Disney Free dining contact our friends at Pixie Vacations, an Authorized Disney Vacation Planner.